October 26, 2013 Albuquerque, New Mexico - Since my Earthfiles news broadcast on Coast to Coast AM radio Thursday, October 24, 2013, I have received several emails that I am sharing in this 2-part report that will include an important military voice in Part 2 concerning the Ellsworth AFB abduction of a security guard in the fall of 1973. This first report has a broader scope about UFO intrusions in the Minuteman nuclear missiles at the Francis E. Warren AFB in Cheyenne, Wyoming, as well as the red, green and yellow “Christmas lights” phenomenon of some aerial discs. The LGM-30 Minuteman is a United States land-based intercontinental ballistic missile (ICBM), in service with the United States Air Force Global Strike Command. As of 2010, the LGM-30G Minuteman III version is the only land-based ICBM in service in the United States. 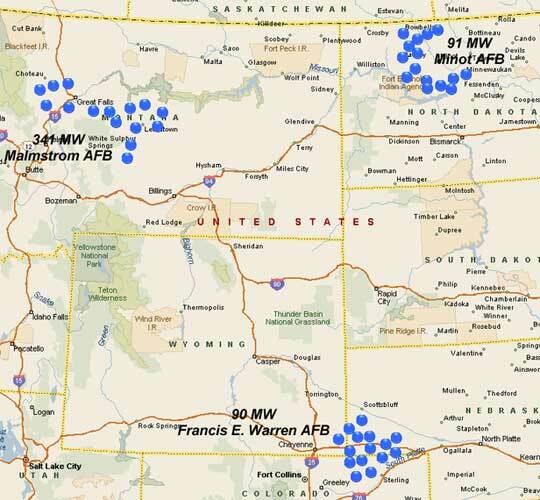 The current US force consists of 450 Minuteman-III missiles in missile silos around Malmstrom AFB, Montana; Minot AFB, North Dakota; and F.E. Warren AFB, Wyoming. The name “Minuteman” comes from the Revolutionary War’s Minutemen. It also refers to its quick reaction time; the missile can be launched within minutes after the receipt of a valid launch order. The Air Force plans to keep the missile in service until at least 2030.